Weeks Marine, the contractor in charge of the federal beach replenishment project underway in Brick, told township officials that Brick Beach I will be closed again. The latest closure is expected to take the entire week. 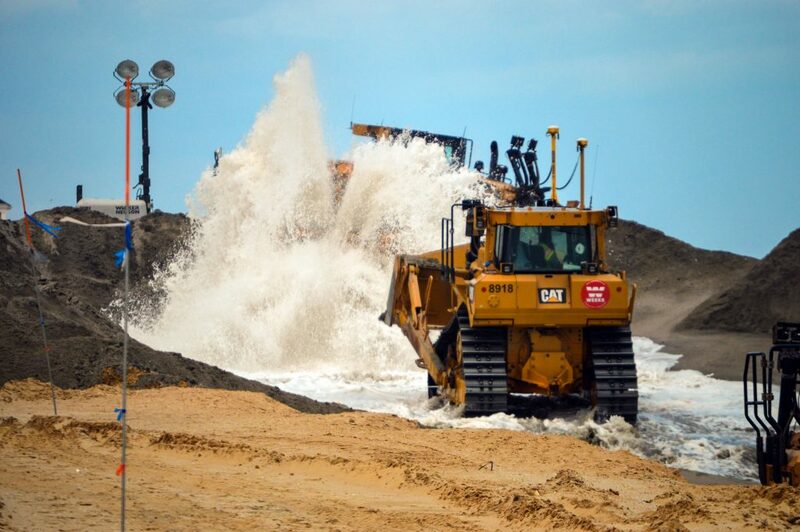 The township said in a statement that the dredging company will provide another update on Friday which will likely indicate whether the beach can be reopened for the weekend. Brick Beach III and Brick Beach II are both open, as well as the beaches in the Normandy Beach section. The sand is being pumped south-to-north. Overall, the U.S. Army Corps of Engineers, which is in charge of the project, says the work in Brick will be completed toward the end of August. After Brick Beach I is completed, only a number of private beaches are due to be replenished.